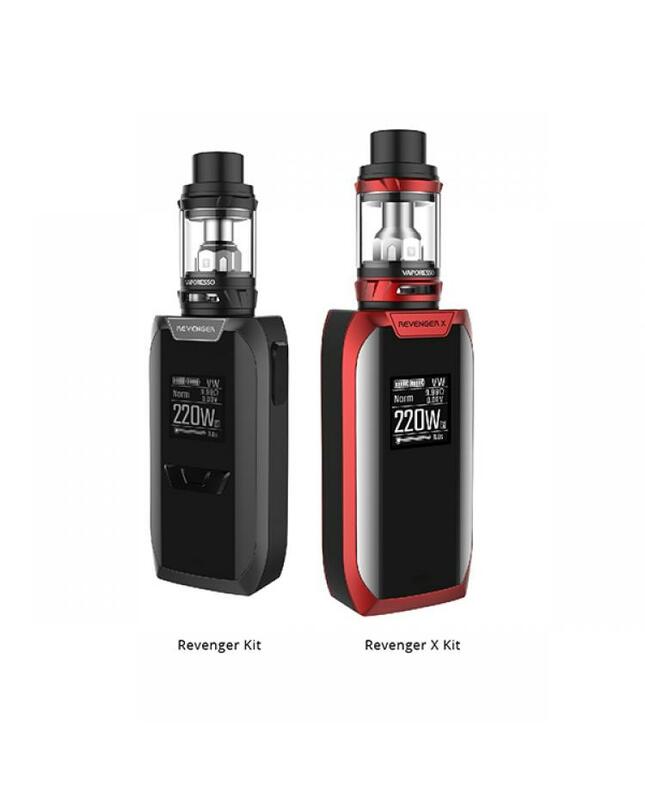 Newest vaporesso 220w vape kit revenger X, which is the newest member of vaporesso revenger series kits and upgraded version of revenger kit. 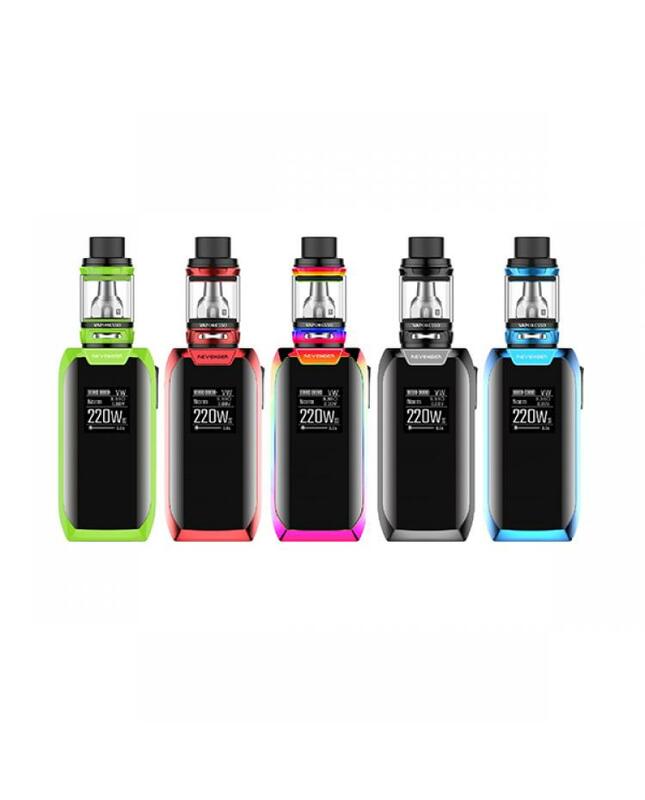 the new vaporesso vapor kit includes revenger X mod and NRG tank, vapers can select the standard version or TPD version. the difference is the capacity of the tank. the NRG tank can hold 5ml e juice, and NRG mini only can hold 2ml e juice, which fulfills the TPD rules. the vaporesso revenger X with one physical button and three responsive touch buttons, bringing out the more integrated look of the IML interface, five fashionable colors available, built with OMINI board 2.2 chipsets, in addition to all the advanced setting and output modes,it has a more friendly user interface now, easier to navigate for all vapers.powered by 2pcs 18650 batteries and max output 220watts, different working modes selectable. 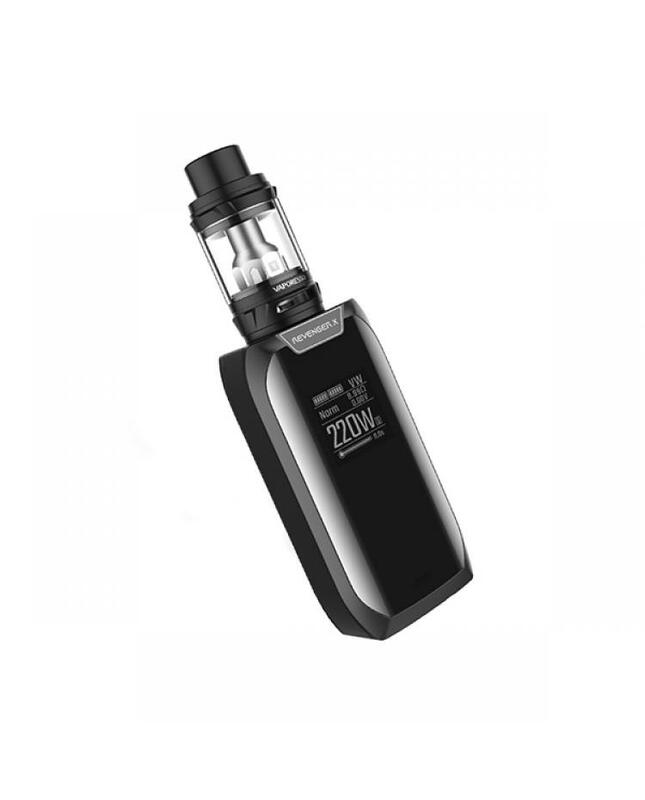 the 0.96inch OLED screen will show the vaping data to vapers brightly and clearly. the NRG series tanks with slide-n fill design, which makes the refill e juice work more easier. the heating insulation layer on the bottom gives a safer and relaxing vaping experience. the vaporesso sub ohm tank comes with GT4 coil heads and compatible with GT series coil heads, will produce the large cloud of vapor and flavor.